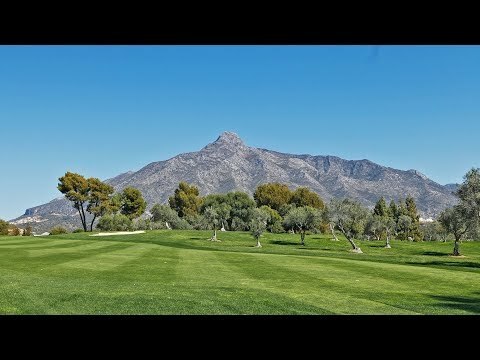 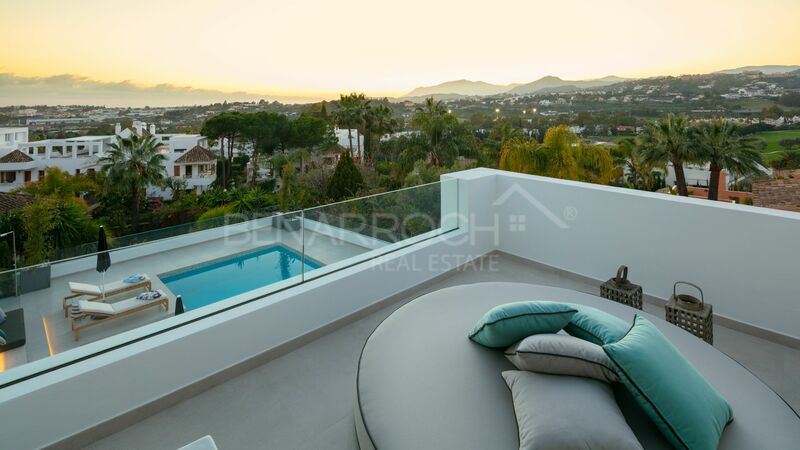 please send me more information about ref 208-01333P, Villa in Los Naranjos Golf, Nueva Andalucia or similar properties. 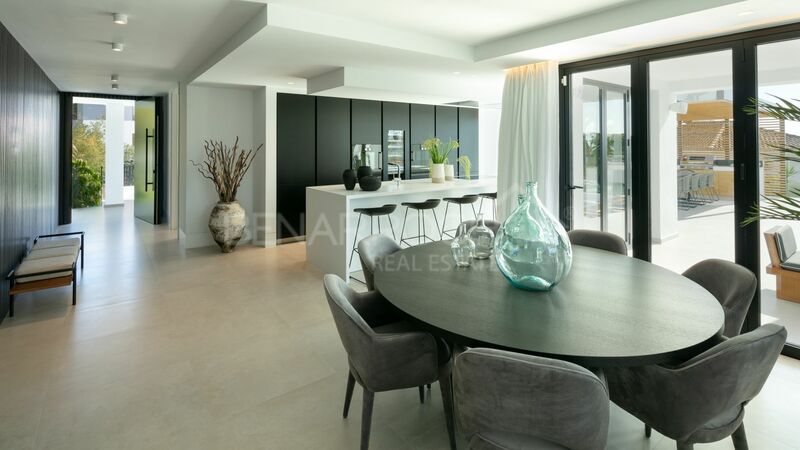 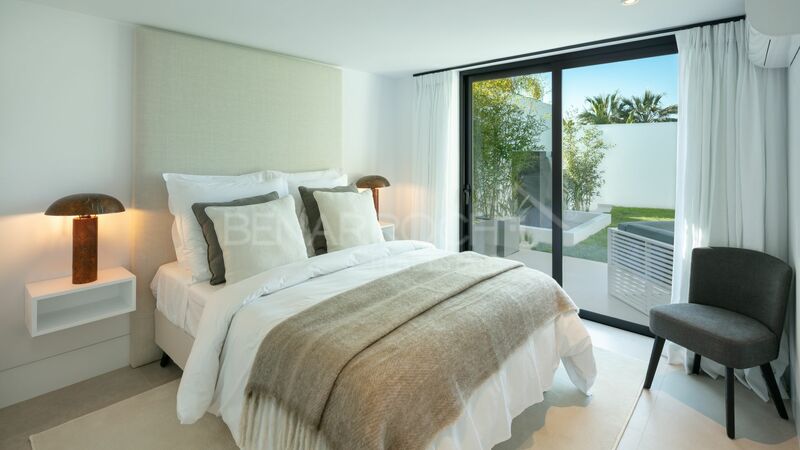 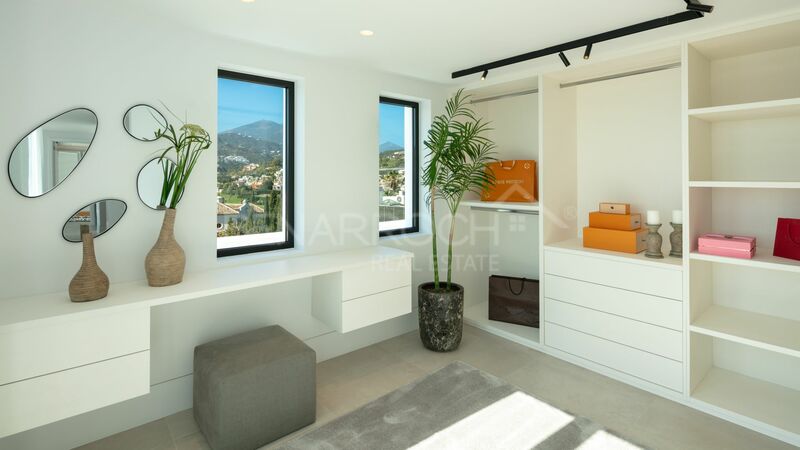 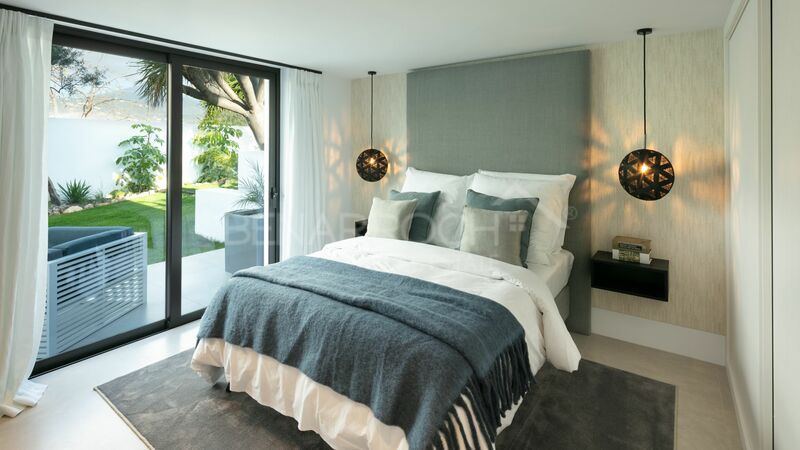 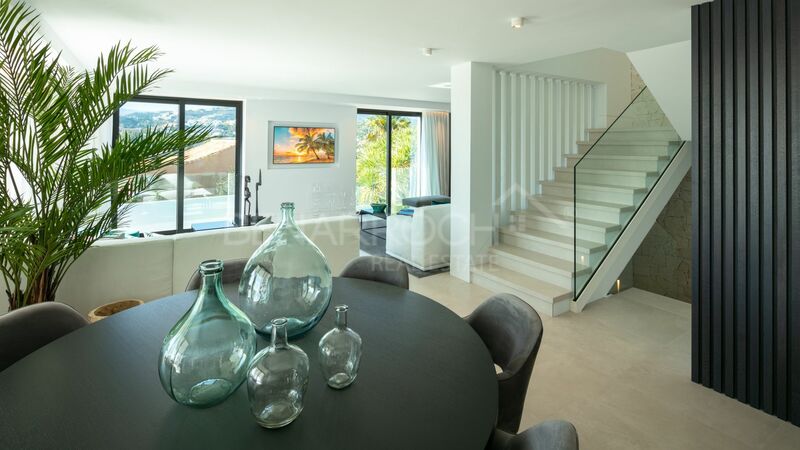 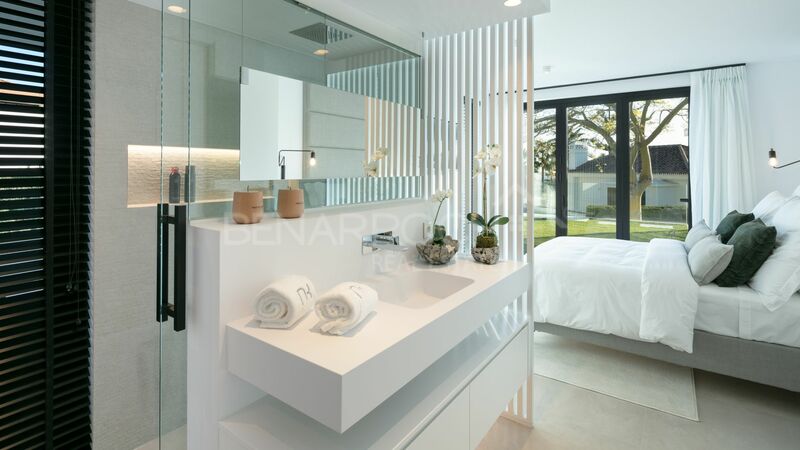 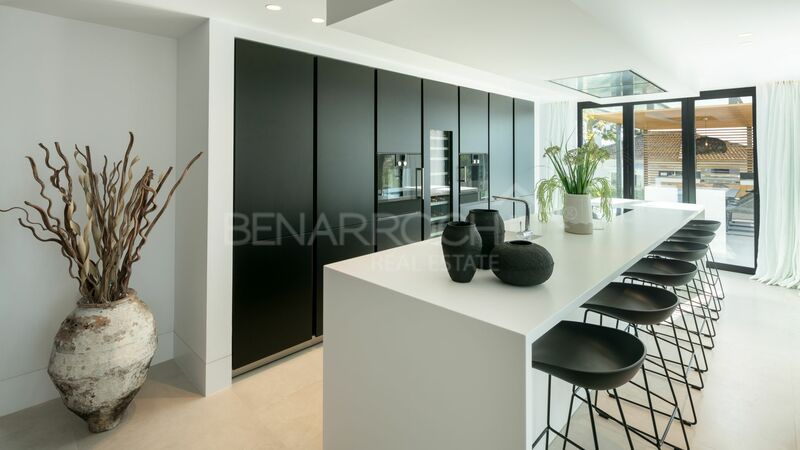 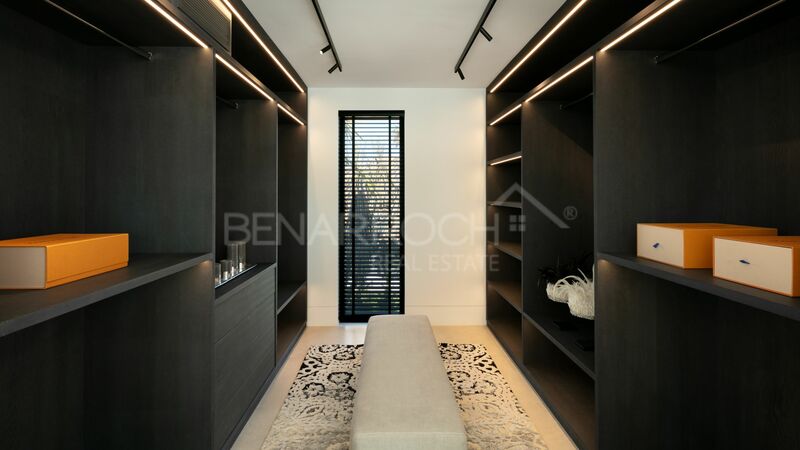 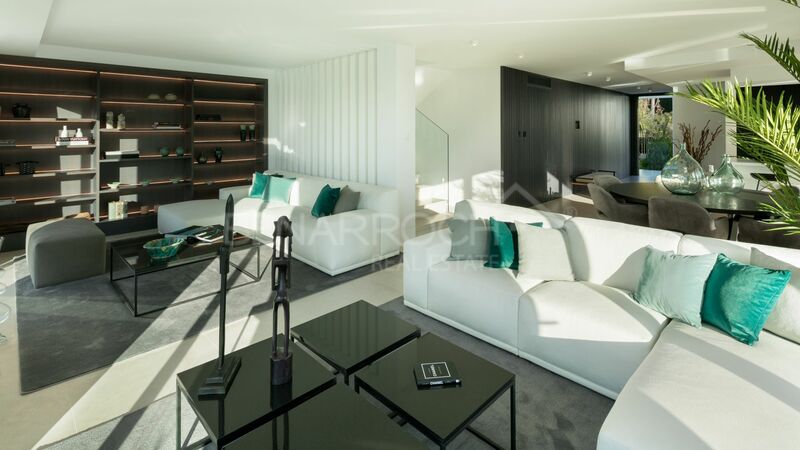 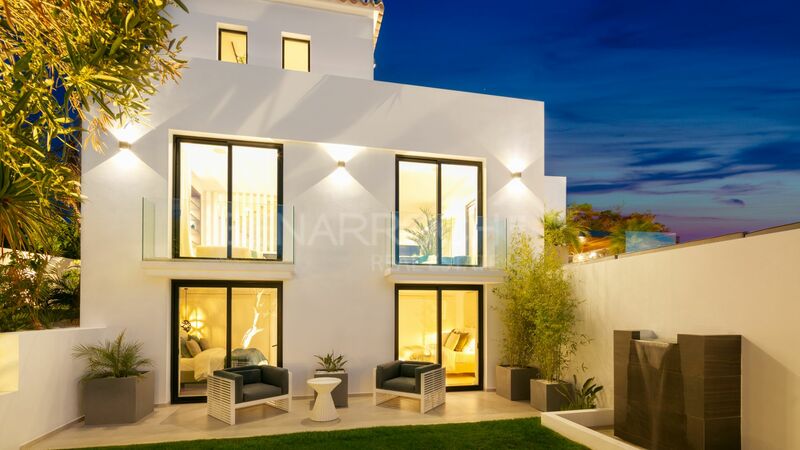 Modern design villa in Los Naranjos Golf, Nueva Andalucia, in the Golf Valley and a short distance from Puerto Banus. 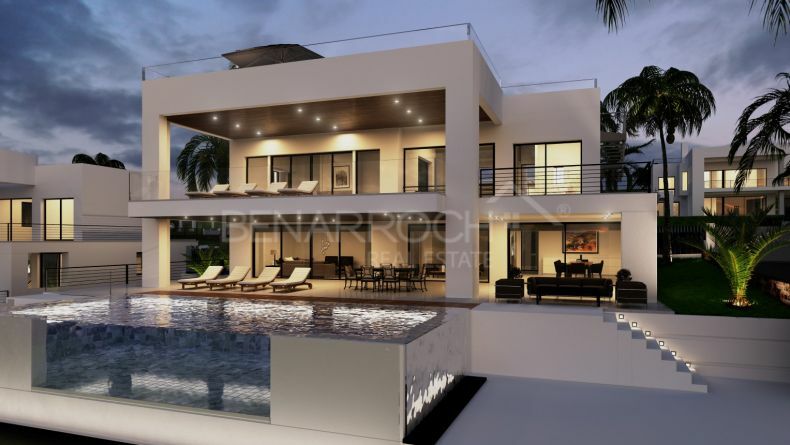 The villa is developed in two floors and basement. 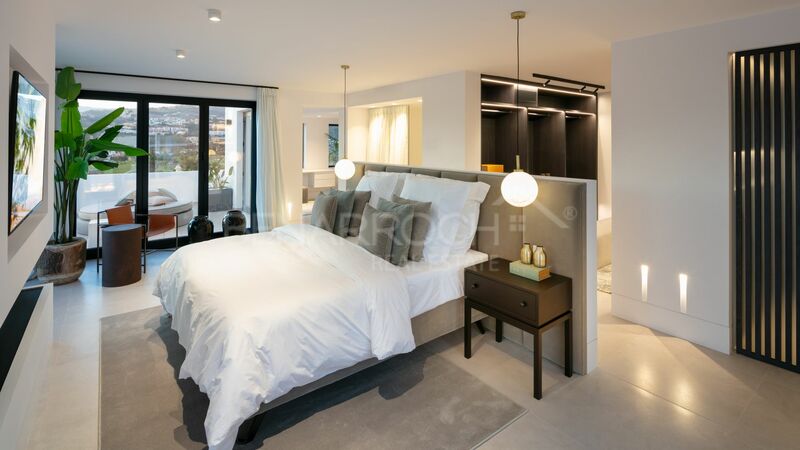 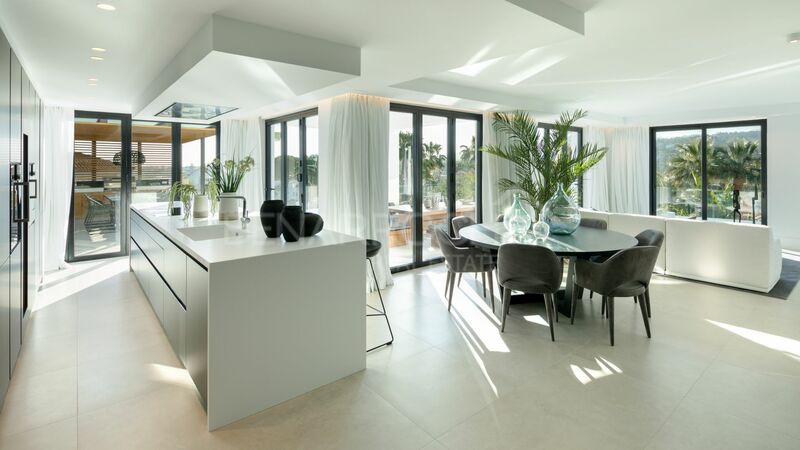 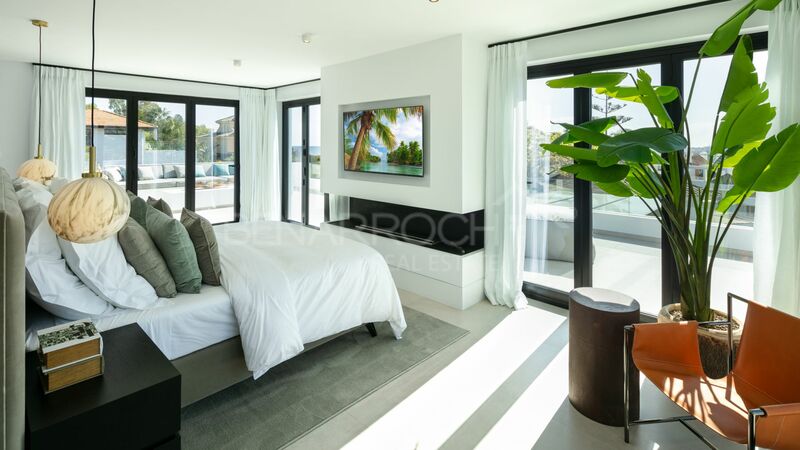 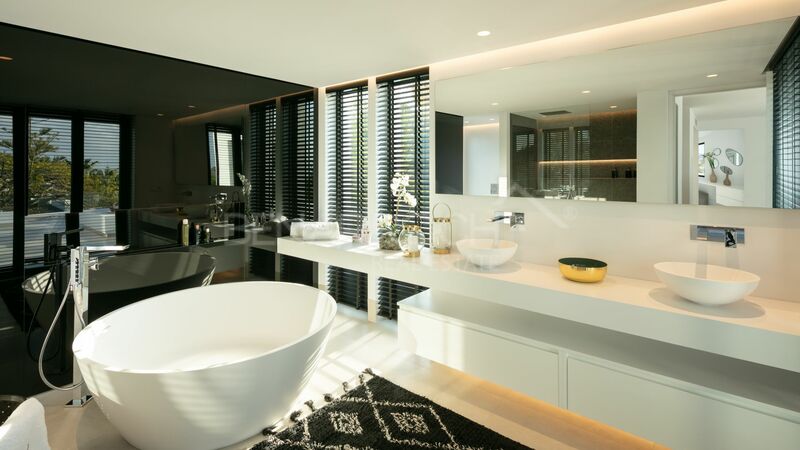 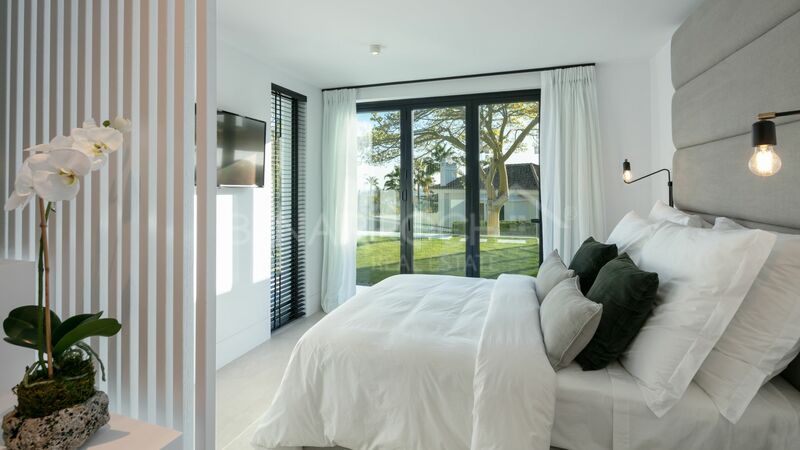 The main floor is distributed into an entrance hall, kitchen open to a large living-dining room with access to the terrace through folding glass windows, guest toilet and two guest bedrooms en-suite with terrace. 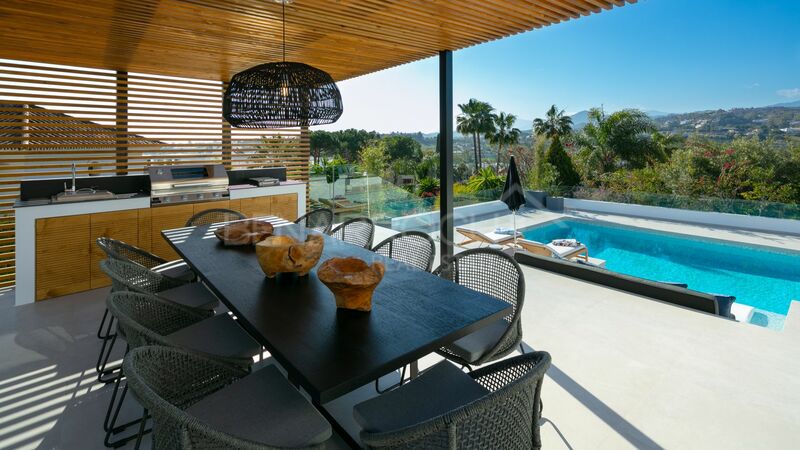 In the pool area there is a relaxation area, outdoor dining area, barbecue area and outdoor kitchen. 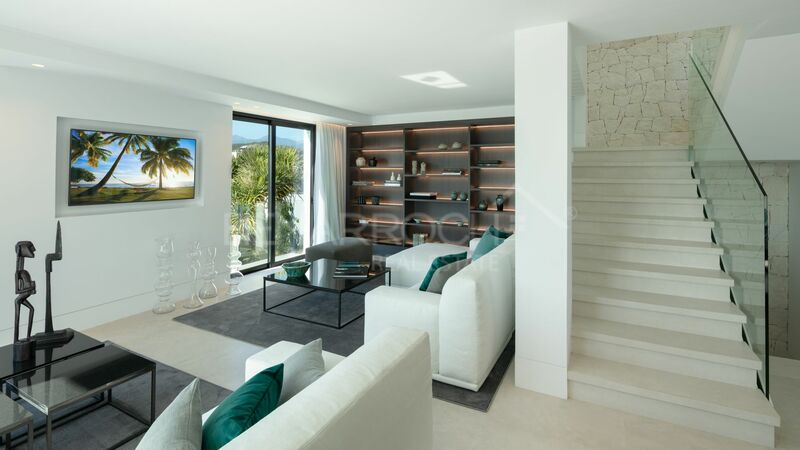 The upper floor has been converted into an en-suite master bedroom with fireplace, large terraces, two dressing rooms and terraces with magnificent sea, mountain and golf views. 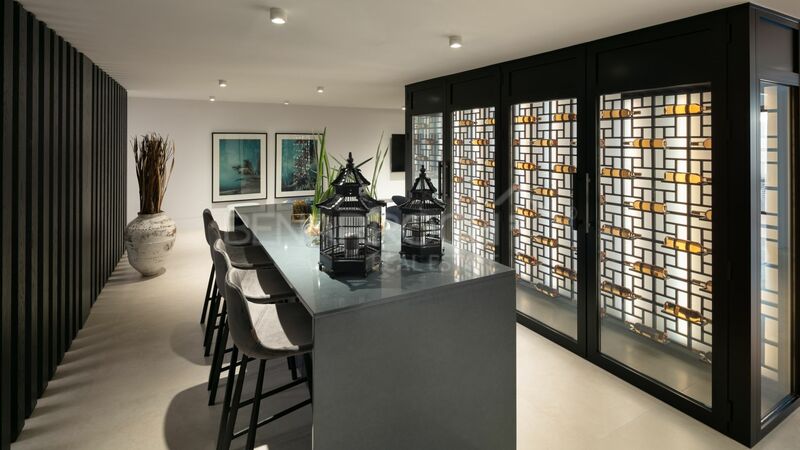 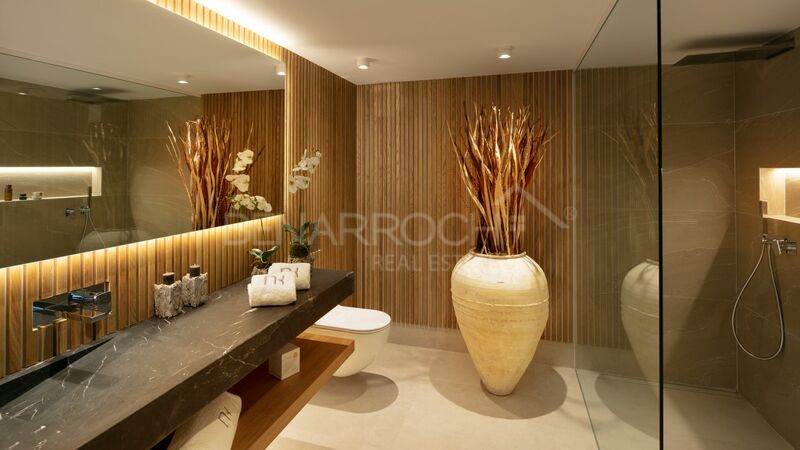 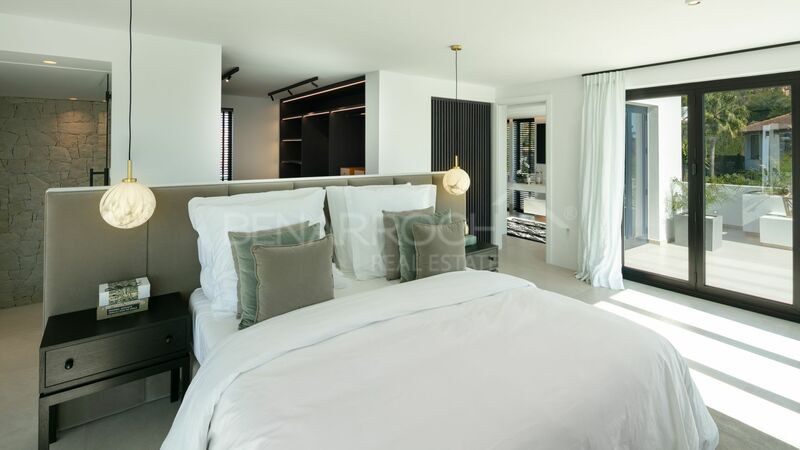 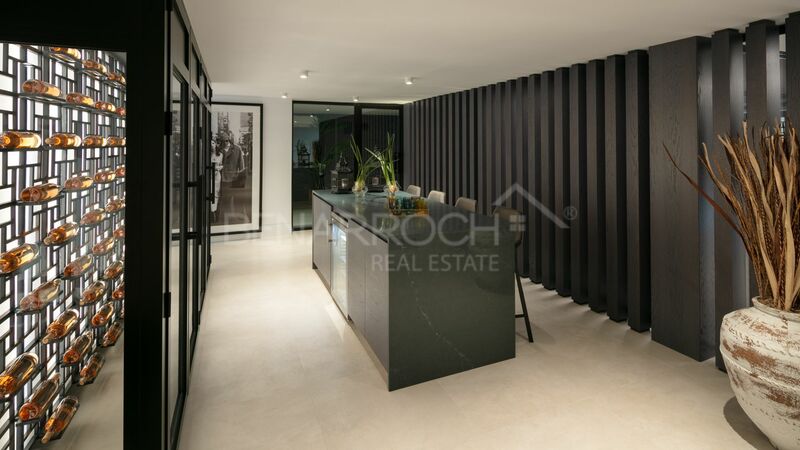 On the basement floor there is a spa with sauna and heated indoor swimming pool, gym, games room, bar, wine cellar, TV room, two guest bedrooms, bathroom and laundry room. 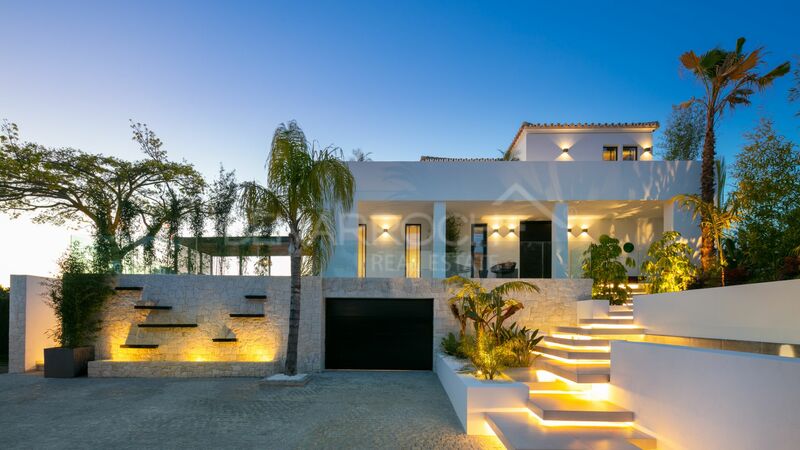 The villa has a garage for one car and another for buggy.